If you love biscuits, scones or tea cakes, then check out the new cookbook, Biscuits, Sweet and Savory Southern Recipes for the All- American Kitchen. Jackie Garvin has compiled some delicious recipes of both sweet and savory. There's sweet recipes for biscuit doughnuts, monkey bread, cobbler and cinnamon rolls. Also there is a recipe for pizza pull-apart bread. Yum! Biscuits comes out May 5th, but you can pre-order the cookbook now. 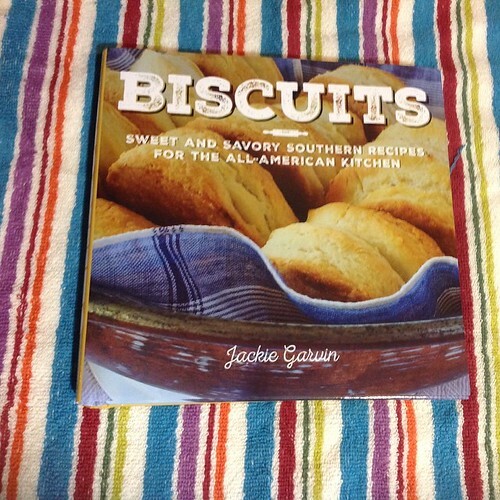 Jackie Garvin is a blogger who created her Southern food blog, Syrup and Biscuits, to chronicle wonderful food memories before they were forgotten. She is the recipient of the Reader’s Choice Award by Southern Food Network. She lives in Valrico, Florida, with her husband and basset hound, who are both fed regularly. Thank you for sharing the news about "Biscuits". I hope you enjoy the book. May you always have lots of good hot biscuits.